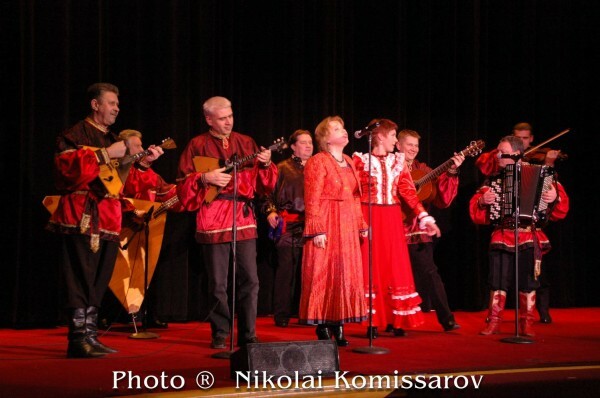 Ensemble Barynya photos. Page 6. First official record of Russian dancing is related to year 907 when Great Russian Prince Oleg (Vechshiy Oleg) celebrated his victory over Greeks in Kiev. During the Gala Dinner 16 male dancers dressed as bears and four bears dressed as Russian dancers performed for the guests. After the dinner was over Great Prince commanded to release the bears into the wild and to execute all the dancers. Ensemble Barynya, 1998. Live performance in cabaret "Moscow", Lexington Ave/54 street, New York City. 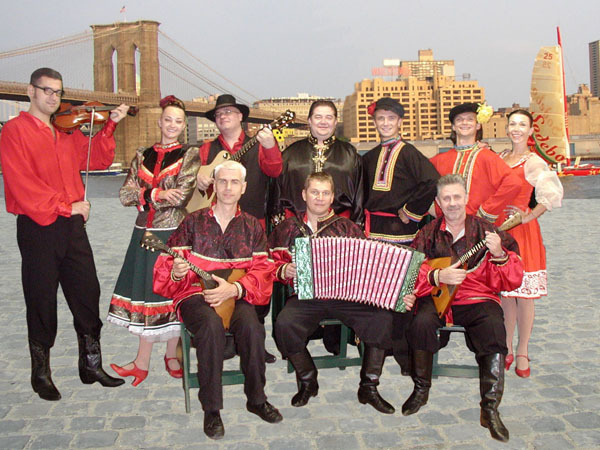 Russian, Cossack, Ukrainian, Klezmer music and dances. Runtime: about 35 minutes. Father Frost and Snow Maiden are the most important characters of the New Year's celebration in Russia. Father Frost (Ded Moroz, Russian: Дед Мороз) plays a role similar to that of Santa Claus. The literal translation of the name would be "Grandfather Frost". However, English-speakers traditionally translate "DED MOROZ" as the alliterative "FATHER FROST". Ded Moroz is always accompanied by his granddaughter Snegurochka - Snow Maiden (Russian: Снегурочка). New York based ensemble Barynya created a special Russian New Year's program with traditional Russian winter songs, dances and music: "In the forest a fir-tree was born" (V Lesu Rodilas' Yolochka), "Small Fir Tree is Freezing during the Winter" (Malen'koi Yolochke Kholdno Zimoy), "The snowstorm is blowing along the street" (Metelitsa), "Father Frost" (Moroz-Moroz), "Five minutes" (Pyat' Minut).